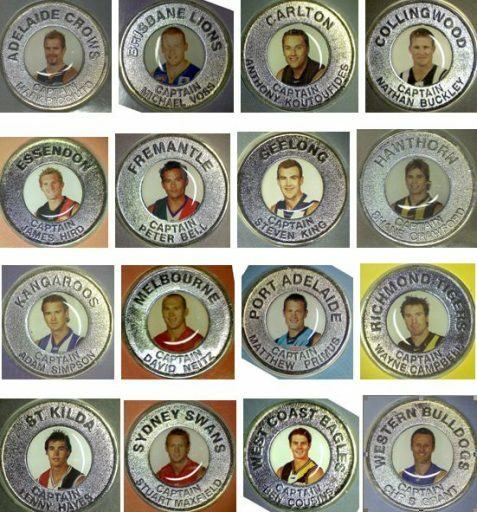 At the August 2017 meeting a member showed an individually packaged set of 16 AFL “Official 2004 AFL Captains medallion series”. Each 35 mm diameter uniface carded medallion with a plastic coloured photo in the centre slips into an elongated album giving the history of the captain. Individual medallions were purchased from the Advertiser or Sunday Mail to make up the set, which is currently advertised on the internet for between $45 and $60 posted. In 2004 Mark Ricciuto was captain of the Crows and Matthew Primus captain of the Power, which won the premiership that year. The member also showed an image of “Chinese $100 training notes”, some of which had been fraudulently passed in SA a couple of weeks ago. Similar notes were also passed a year or so beforehand in Darwin. They are available in packs of 50 for under $10 from a Chinese company, which also produces “training notes” in other currencies. While obviously Chinese and cancelled notes they are still capable of deceiving if folded or in poor lighting conditions. They are copies of Australian banknotes overprinted with Chinese characters stating they are for training only.